Please tell me what these are, so I can get some. Re: What are these voltage regulator tubes ? !! I was there, and they are really weird in real life. And ultra cool. Excellent - didn't know you'd been there Jan . What were the highlights ? 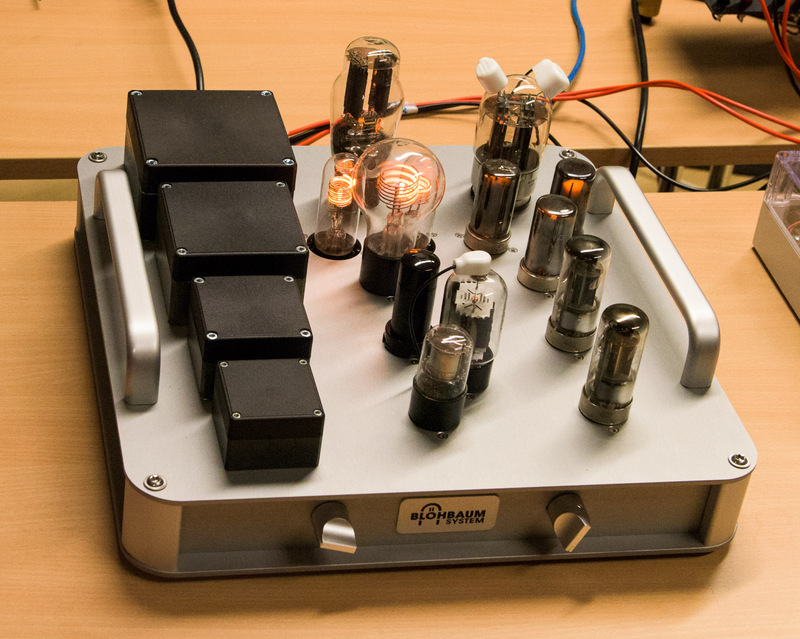 Did you get a listen to Bjorn and Thomas's nice 200Hz mid-horn with the 288B ? Thomas and Bjørn are friends of mine, and we traveled down to Denmark together. So naturally I spent the most time in the norwegian room. have Charles King connect his Stellavox reel to reel player to the system. Some of his tapes with live recordings of Count Basie were just unbelievably good. Re the voltage reg tubes, they are really cool looking, so if you have the chance to get some of them, don't hesitate! Will definitely be on the lookout for those. There looked to be some nice equipment there this year - good analogue front-ends for instance. What was the data/drivers on those mad wooden horns on the 'House' system ? except that he used 6 ( or 8 ) 12" drivers for bass, a cone driver for midrange and a ribbon for the treble. TV system? That's just showing off . So, do tell Jan, we need to know - how did they sound? I'm not the best person to ask regarding sound, I' afraid. There's some videos out on the net, I think? I just looked at some of the ETF 2015 vid's Jan mentioned. It looks like a great meet up, bit like Owston but without the funny accents!